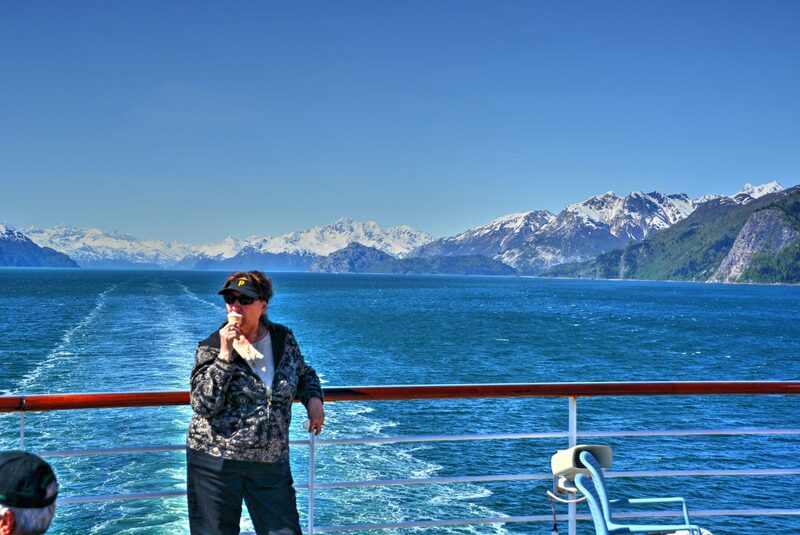 In preparing to go on our cruise, I researched & became familiar with what to look forward to on our excursions into Juneau, Skagway & Ketchikan. 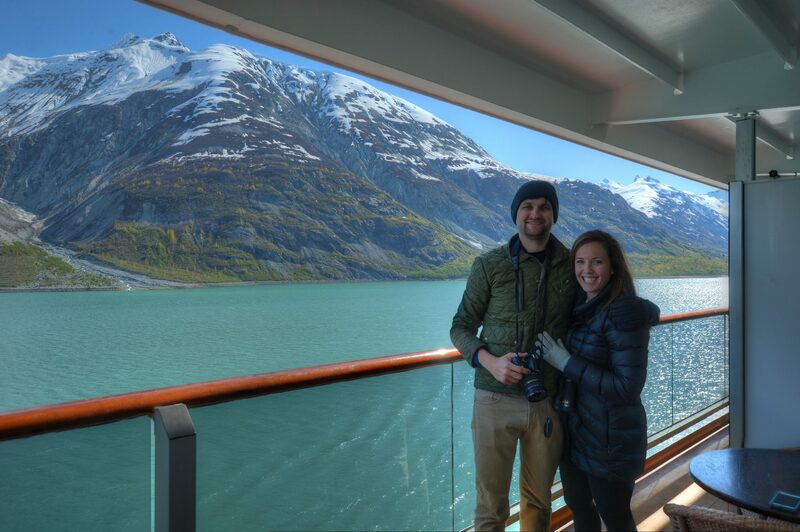 What I didn’t anticipate was what turned out to be one of the highlights of the trip….our daylong venture into Glacier Bay National Park. 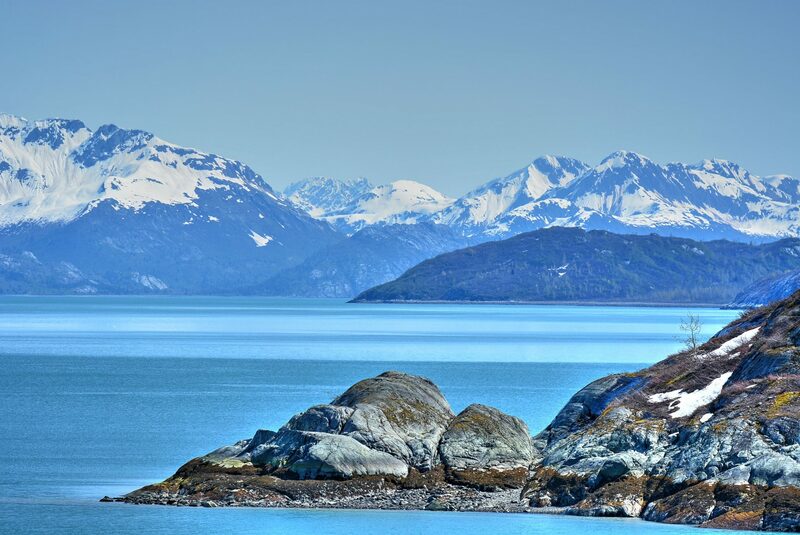 As late as the 1700’s the whole of Glacier Bay was choked with ice but by 1879 had retreated almost all the way up the bay, a distance of 48 miles. 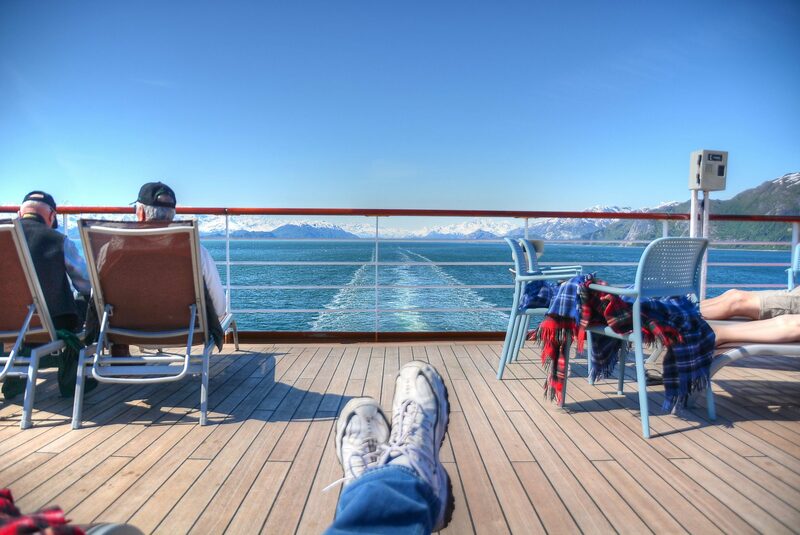 What was carved out was deep sheltered fjords which has become the highlight of Alaska’s Inside Passage & allows large cruise ships to give it’s passengers a spectacular view of the landscape. Due to the day being so crisp & clear we were able to sit on our balcony & absorb as much as possible. An adventure boat preparing their guests to kayak for a more intimate view of their surroundings….I was a bit envious of that one. 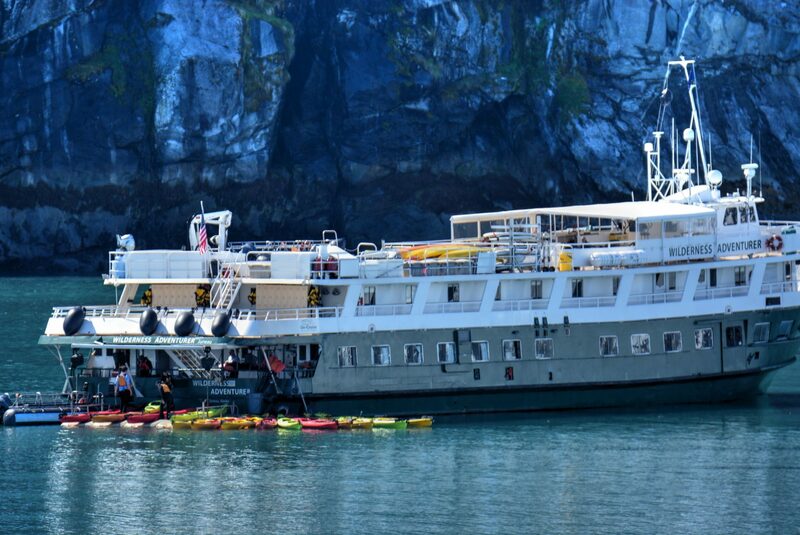 Finally we approached the end of the bay & for an hour the captain slowly rotated the ship so everyone could take in Margerie Glacier from the comfort of their own balcony. 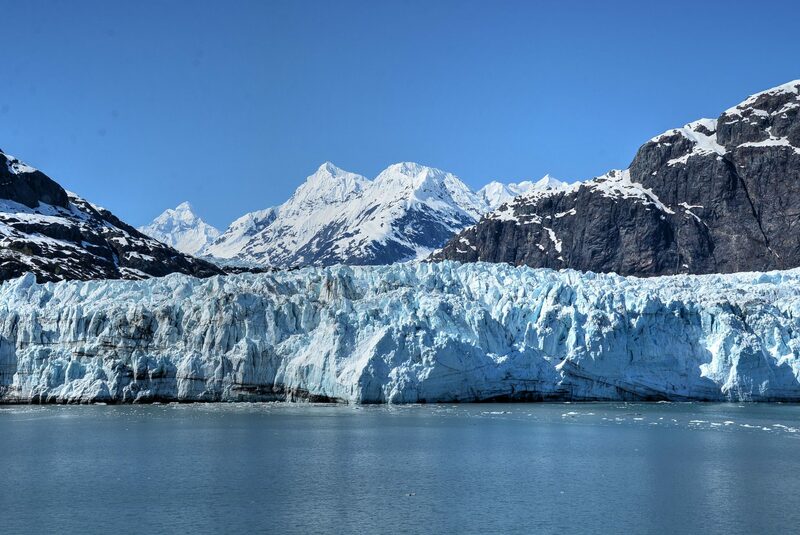 Margerie Glacier is categorized as a tidewater glacier, one of eleven remaining in the park, with eight in the bay and three on the Pacific Ocean coastal area of the park. 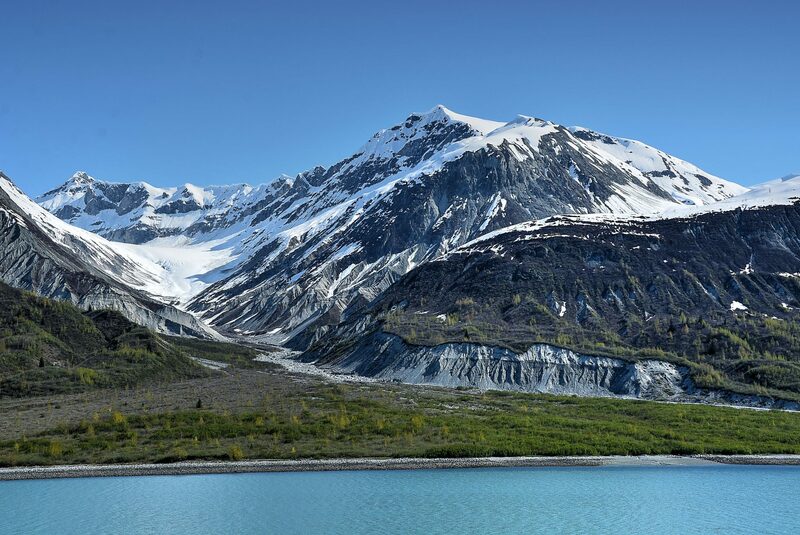 A tidewater glacier is one whose terminus encounters seawater at least at high tide, if not at all tide levels. 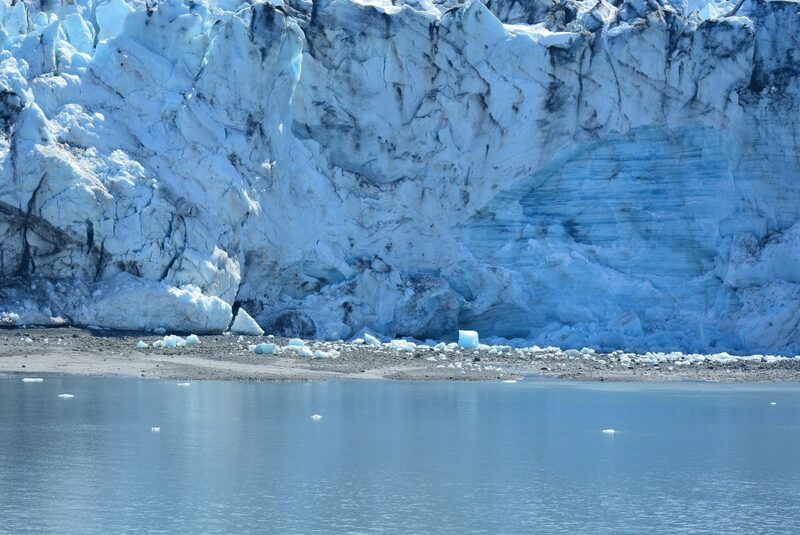 Margerie Glacier and six other glaciers have termini that are fully submerged at all tide levels. 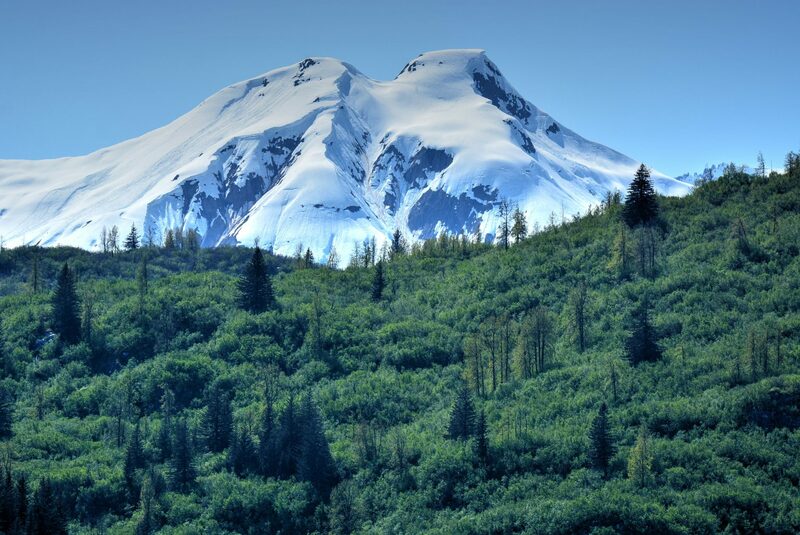 It has a total height of 350 feet of which 250 feet rises above the water level and 100 feet is beneath the water surface. 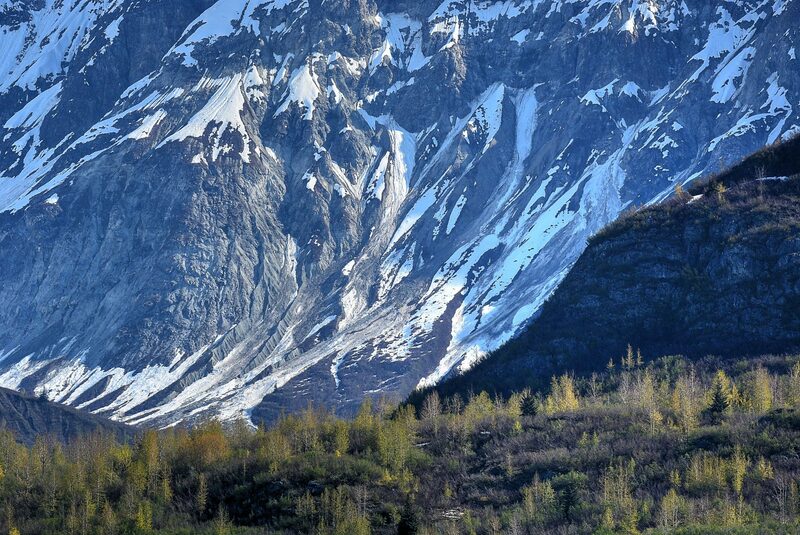 Like many glaciers it contains moraines which appear as dark areas composed of dirt, stones and larger rocks mixed in with the ice and transported downstream to eventually be ejected from the glacier’s terminus. 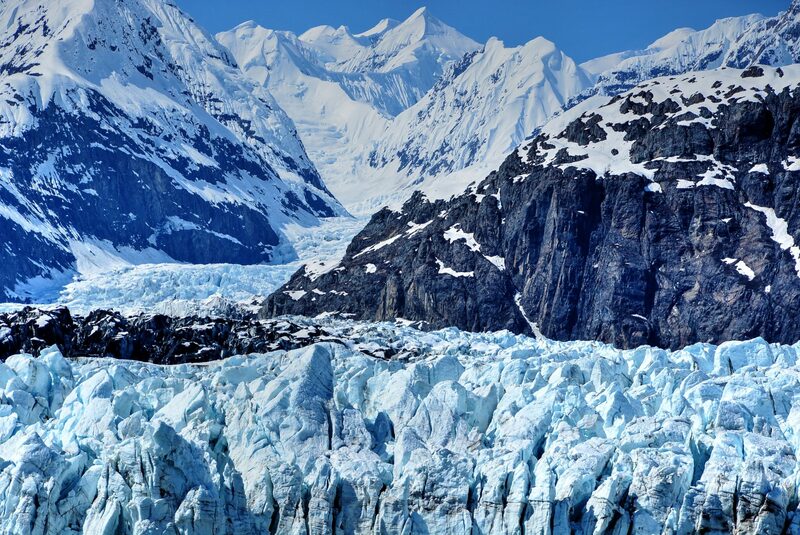 The glacial ice appears blue as a result of the absorption of red, orange, yellow and green wavelengths of light and, consequently, pools of meltwater on top of the glacier will appear bright blue. 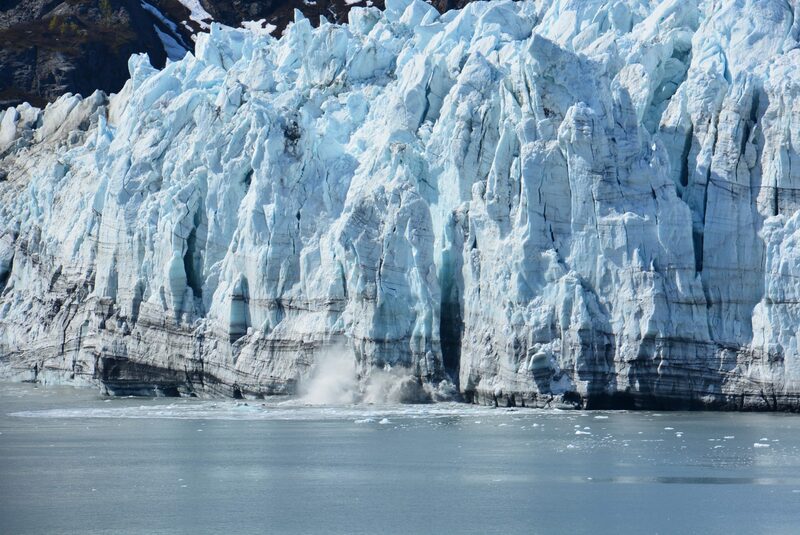 It is also one of the most active glaciers for ice calving. 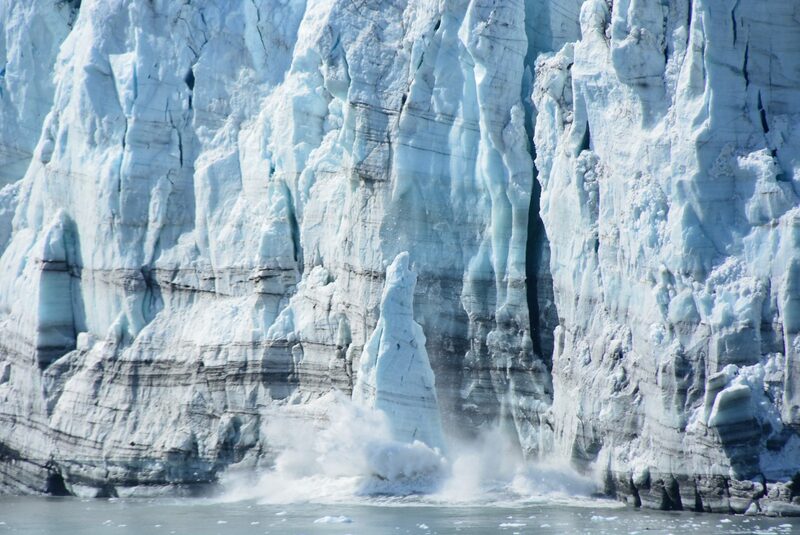 As a glacier calves it makes sounds similar to gunshots from the cracking of the ice and the release of trapped air, then a roaring boom as the ice tumbles down into the sea. The locals refer to this as “white thunder”. 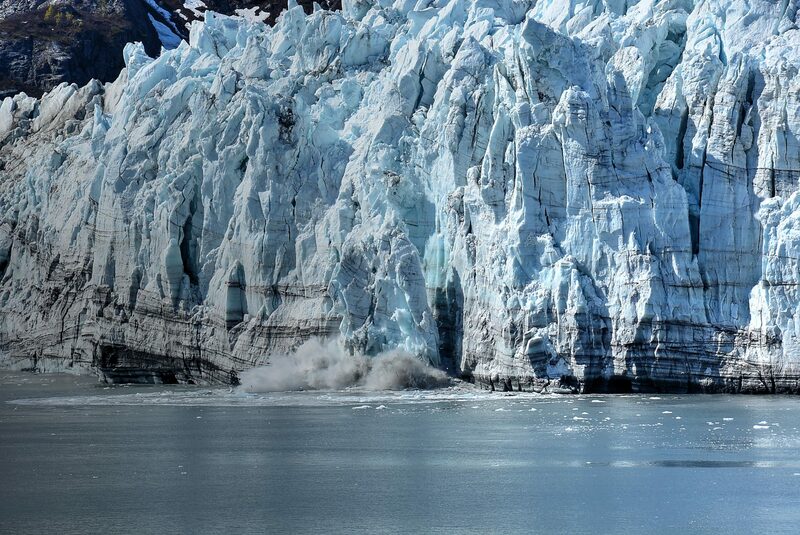 One of the lenses for my Nikon is a 150-600mm which is quite heavy to handhold & obtain clear focused images but mounted on a tripod it was ideal for capturing a burst of large sections of ice breaking away from the glacier & splashing into the sea. Resting on the ground was one very large blue ice cube. Leaving the bay was a great time for Nikki to enjoy an ice cream cone while I just wanted to kick back & appreciate all that we just had witnessed. 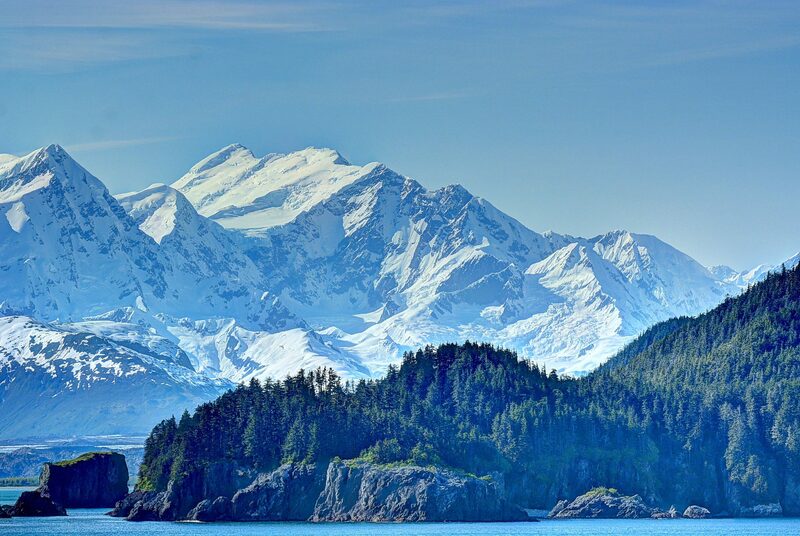 Our next & last stop before heading back to Vancouver…..Ketchikan & Misty Fjords National Monument.